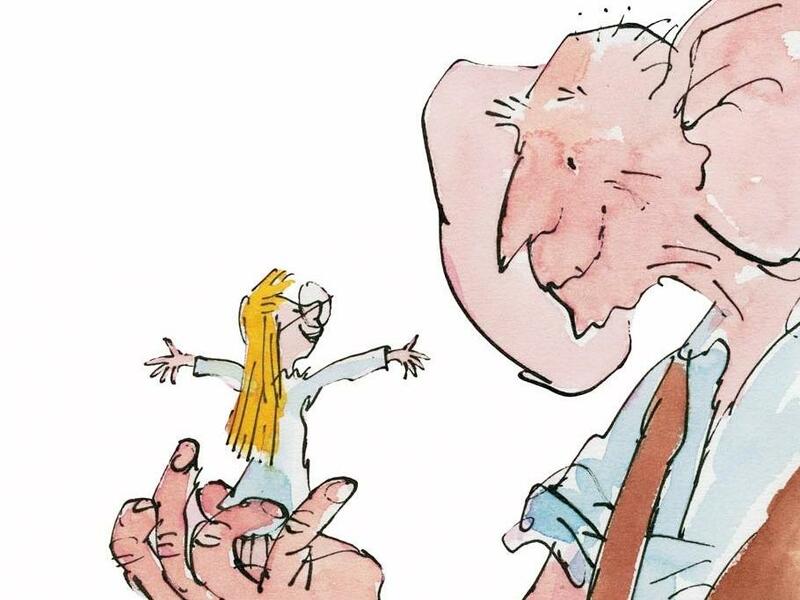 Why ‘The BFG’ movie should be a BFD for your family – UPDATED! This article was originally posted more than two years ago, on May 16, 2014 – as our family was just beginning to anticipate Steven Spielberg’s The BFG movie. Now that it’s finally out (and we’ve finally seen it), we’re back to tell you what we thought. Read the whole post below, or skip ahead to our update! Did you hear the news that Steven Spielberg is slated to make a new movie adaptation of Roald Dahl’s children’s book The BFG? We did, and we are super excited about it. Go ahead, little girl. I’m all ears. The BFG is a delightfully adventurous story about a Big Friendly Giant with bad grammar and an interesting hobby of collecting dreams who befriends and adopts a little orphan girl. We read the book as a family several months ago, and we all loved it. Then we saw the whacked-out, old-school, basically-unwatchable-after-you’ve-been-spoiled-by-anything-from-Pixar 1989 cartoon version of the movie – and were collectively disappointed. 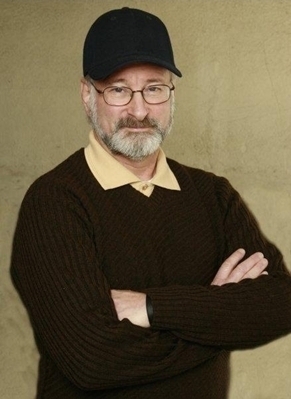 So we’re pretty sure that Steven Spielberg (who incidentally looks exactly like our old apartment manager) can only improve things. Would you give this man your rent check? The new movie probably won’t hit theaters until 2016, so if you haven’t read the book yet, you’ve got some time. 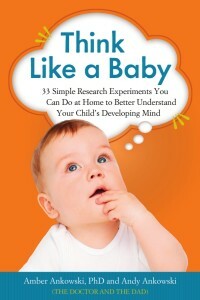 In general, we wholeheartedly recommend reading books with your kids and then watching the movie version of those books as a brain-boosting, fun-inducing family activity. Many children’s books that are turned into movies are long chapter books, so if your kids are still little like ours, you might not think they’re ready for this kind of thing. But we found that our daughter enjoyed reading chapter books with us even when she was as young as two years old. And research indicates that some of the most dramatic benefits kids get from reading happen when adults read to them before they are able to read to themselves! Just remember that you can always pause the story to explain bigger words or more complex ideas to your youngster when needed. In addition to The BFG, there are lots of other great book/movie combos out there for your family to share. Check out some of the ones our family has tried below. Then break out your bookmarks, bust out the popcorn, and enjoy the shows! Charlie and the Chocolate Factory by Roald Dahl – This one actually has two movie versions to try, so your family members can decide if they’re on Team Gene or Team Johnny. Cloudy With a Chance of Meatballs by Judi Barrett – The book is actually really light on plot, so it’s cool to see how much the (truly funny) movie adds on its own. Matilda by Roald Dahl – Be aware that you may find yourself censoring some of this one, unless you feel your kids are ready to hear graphic accounts of adults emotionally and physically abusing kids, and kids pulling seriously damaging pranks against those adults as revenge. James and the Giant Peach by Roald Dahl – Full disclosure: we loved this book, but hated the movie. But feel free to form your own opinions. Of course, if you say that the movie is awesome, we’ll probably tell you you’re wrong. Got any “read then watch” suggestions for us? Post them below! UPDATE: The BFG is here! Our family finally got to see the BFG come to life on the big screen this past weekend. If you haven’t seen it yet, you should (but you should read the book with your kiddos first, of course)! Since we had read the book quite a long time ago, we decided to read it again in the weeks leading up to the movie’s release. This was a good refresher for our six-year-old daughter, and a good introduction to the story for our three-and-a-half-year-old son, who was just a baby the first time we read it. Although our kids got a little cuddly with us during some of the movie’s scarier moments, they were never too freaked out because they knew that the characters were going to end up okay. It also helped that we reminded them of that fact over and over and over before the show started. Our joke-loving little munchkins were delighted to get to hear all of the giant’s silly, mixed-up word mispronunciations in ear-blasting surround sound. After all, they’d been giggling about them – and playing around with words themselves – for weeks while we were reading the book. Just like every time we read a book then watch the movie version, we got to talk about how the movie was the same as, or different from, what we’d read and imagined. For this movie, that involved a thoughtful debate about the merits of Pits vs. Islands as forms of punishment, as well as rigorous reenactments of all scenes involving farts. Have you seen The BFG yet? If so, what did you think?!? I see you share interesting content here. This is an old post, and I’m a new reader. But I was wondering if you could tell me what chapter books you were reading with your daughter when she was 2. I’d love to start doing that with my kid! We actually started with the books on this list when our oldest daughter was only two. She probably didn’t understand or remember much of what she heard, but we had so much fun reading together and the books were a springboard for lots of great conversations. In the years since then, we’ve reread them, and our kids get new stuff from them with each retelling. We hope your family loves these books (and many more) as much as we have!